The Critical Theory Workshop/Atelier de Théorie Critique in Paris, France was founded by Gabriel Rockhill in 2008. 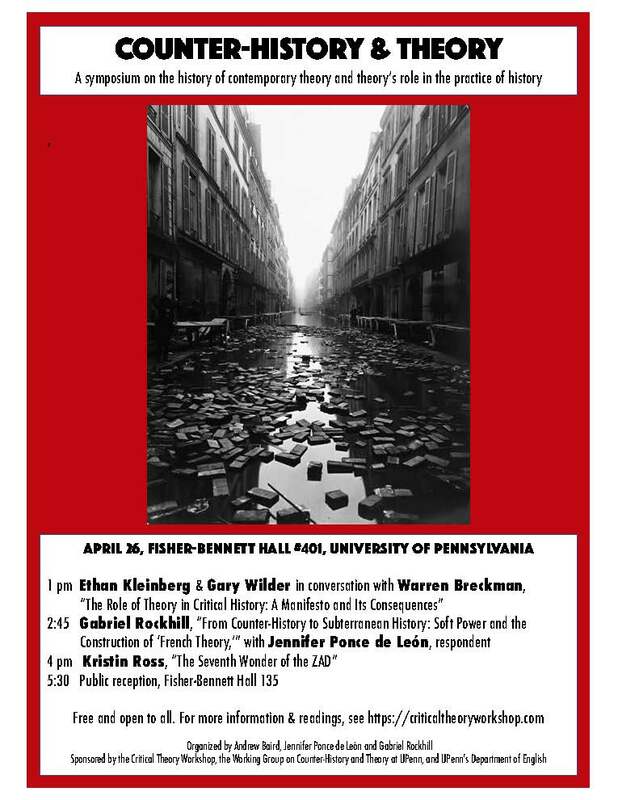 It was originally run through Villanova University’s Philosophy Department, in coordination with the Paris Center for Critical Studies and the Collège International de Philosophie. Due to the effects of the financial crisis, it was temporarily suspended from 2009-2013. With the support of Villanova University’s Philosophy Department and the Graduate School of Arts & Sciences, as well as four partner institutions in Paris, the Workshop was resuscitated in 2014 and continued in this form until the summer of 2018. It is currently no longer receiving funding from Villanova University and is run as an autonomous institution with links to a number of partner institutions in Paris and elsewhere.